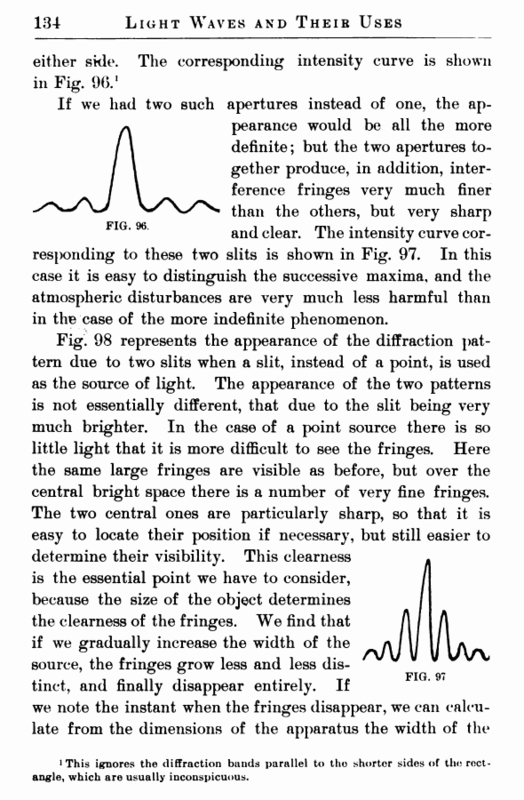 If we had two such apertures instead of one, the appearance would be all the more definite; but the two apertures together produce, in addition, interference fringes very much finer than the others, but very sharp and clear. The intensity curve corresponding to these two slits is shown in Fig. 97. In this case it is easy to distinguish the successive maxima, and the atmospheric disturbances are very much less harmful than in the case of the more indefinite phenomenon. 1 This ignores the diffraction bands parallel to tho shorter sides of the rectangle, which are usually inconspicuous. source. 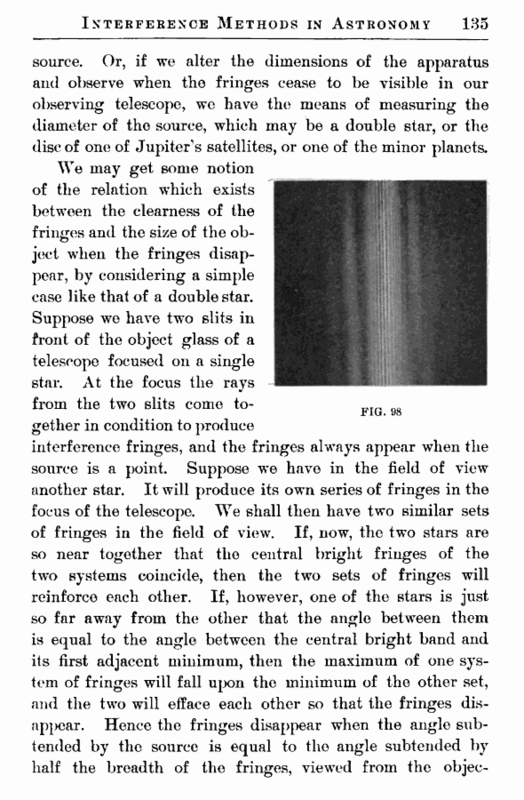 Or, if we alter the dimensions of the apparatus and observe when the fringes cease to be visible in our observing telescope, we have the means of measuring the diameter of the source, which may be a double star, or the disc of one of Jupiter's satellites, or one of the minor planets. We may get some notion of the relation which exists between the clearness of the fringes and the size of the object when the fringes disappear, by considering a simple case like that of a double star.